RBS’s most recent annual report and accounts are emblazoned with the words ‘Earning our customers’ trust’. The pamphlet contains about 150 mentions of the word ‘trust’ and 518 of the word ‘customer’ over the course of its 515 pages Inside McEwan writes, ‘We are determined to reach our aspiration of being number one for customer service, trust and advocacy’. These are admirable aims. And they are more likely to be realised under chief executive Ross McEwan than they were under his predecessor, Stephen Hester, who was more preoccupied with revving up RBS’s investment bank. But there are some serious stumbling blocks ahead. One, which I call a ‘Dr Jekyll and Mr Hyde approach’: claims about being a customer-focused bank tend to lose credibility if the bank continues to treat customers unfortunate enough to be in the ‘exit bank’, with barely disguised contempt. While customers of the ‘go-forward bank’ (the parts that RBS has decided to keep – predominantly its UK and Irish high street banking) are, supposedly at least, being showered with love and tenderness, those in the ‘exit bank’ (the parts McEwan is determined to shut or sell by 2017–19) are being brutalised. Their complaints and cries of pain, lately amplified by the recently formed SME Alliance of unhappy customers risk drowning out any purrs of pleasure from ‘go-forward’ clients. Hampton said two law firms had investigated GRG and refuted claims of ‘systematic failings’. He did, however, express a willingness to meet aggrieved business customers ‘if there is any fresh information’. McEwan did not comment on the allegations, preferring to tell shareholders that RBS has been split in two. He said, ‘Between now and 2019, the exit bank will occupy a diminishing amount of our time, allowing us to increasingly focus on becoming a substantially UK and Ireland focused retail and commercial bank with a core wholesale banking offer. At that point, we will be operating from a much lower risk profile, and be capable of delivering solid, sustainable returns.’ To this end McEwan has in recent months stepped up the dismantling of RBS’s once swaggering investment bank. The task includes reducing the unit’s footprint in 54 countries in October 2007 to fewer than 13, and slashing investment banking assets from £147 billion in late 2013 to £30 billion in 2017. What McEwan seems reluctant to acknowledge, however, is that the collateral damage from this headlong retreat could be immense. Any disposals he makes will almost certainly be sold at a loss. At least 14,000 of CIB’s 18,000 employees will lose their jobs. Millions of customers will be left high and dry, their credit lines withdrawn, or, with their banking relationships sold to mainly Asian banks. A second problem facing McEwan as he focuses on his ‘go-forward bank’ is what he calls the ‘noise’ of misconduct-related explosions. Not only are these hurting the bank’s bottom line, preventing the payment of dividends until 2017 at the earliest, they are also reputationally disastrous. In several jurisdictions, the bank is being penalised for allegedly harming its customers, and often in the not so distant past. The fact the regulatory settlements, which include deferred prosecution agreements, invariably let guilty bankers off the hook, while loading billions of dollars in fines onto shareholders – which at RBS means taxpayers – only adds to the sense of outrage. In July this year, Hampton said the bank had been taken aback by the relentless barrage of fines and demands for redress. ‘These conduct and litigation costs have greatly exceeded the expectations of banks and their investors.’ He added that it was hard to discern whether the level of fines and other penalties would rise or fall. Conduct and litigation costs – bankers’ jargon for criminal and civil penalties – are going to be a running sore for large banks like RBS for the foreseeable future. Arguably the worst problem is the bank’s notorious GRG. Royal Bank of Scotland, which also owns NatWest and Ulster Bank, thought it had put a stake through the heart of this ‘vampire unit’ as its alleged victims call it. It is under investigation by UK regulators for allegedly destroying viable businesses in order to seize their assets. Many of the disputed assets wound up under the ownership of RBS’s West Register property division, whose name the bank changed to SIG 1 Holdings Limited in November 2014. But it seems GRG and West Register could yet rise out of their coffins to further damage RBS’s reputation. The FCA has, for nearly two years, been investigating allegations swirling around them, but since the so-called section 166 probe was outsourced to Washington DC-based Promontory Financial Group and Paris-based accountancy firm Mazars in January 2014, nothing of any substance has been heard. There have been suggestions their report, due by Christmas, is going to be ‘critical and quite damning’ of RBS, obliging it to compensate those who were affected. The estimated cost for the bank has been put at up to £5 billion. Such a ruling would also open the floodgates to further civil cases from aggrieved creditors and shareholders of firms that claim they were wrongfully wiped out. RBS denies wrongdoing and hired the ‘magic circle’ law firm Clifford Chance to investigate the claims. On 17 April 2014, RBS published a report by the law firm which cleared the bank of systematic wrongdoing, but which did allude to certain questionable practices which it said it would eliminate. 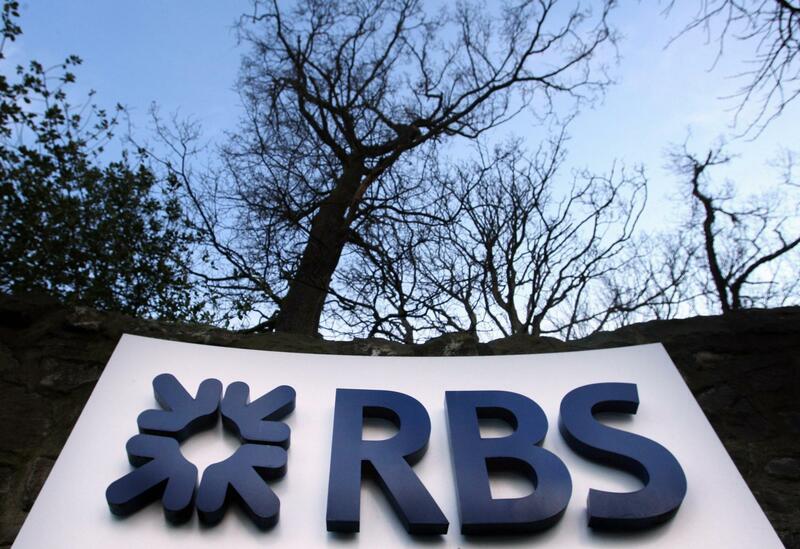 Senior RBS insiders, thought to include McEwan himself, concede that the GRG scandal has been more damaging to the bank’s reputation than either the forex or Libor scandals. A court case over RBS’s ‘misleading’ April 2008 rights issue is another, massive, bump in the road for the bank. The action has been brought by 35,000 investors – including the insurance and asset management firms Aviva, Legal & General, Scottish Widows, Standard Life, the pension fund Universities Superannuation Scheme and the sovereign wealth funds of Singapore and Kuwait. The investors, who are seeking up to £6 billion in damages, made a material breakthrough in March 2015 when the judge, Mr Justice Robert Hildyard, ordered the bank to hand over millions of private emails and other messages sent by senior executives at the time of the capital raising. These include messages sent and received by Fred Goodwin, Johnny Cameron, Guy Whittaker and Tom McKillop, who stand accused of seeking to pull the wool over investors’ eyes six months before the bank failed. These and other messages are expected to make uncomfortable reading for RBS and its legal advisers, Herbert Smith Freehills. One source close to the claimant group predicts they will ‘shred’ the bank’s initial defence. These are some of the ‘noises’ which McEwan and his team will struggle to suppress as they seek to shrink, simplify and reconstruct RBS. McEwan does, however, have a strong card up his sleeve. The largest brand in RBS’s retail banking armoury, NatWest, remains relatively untainted by the crisis that’s engulfing RBS and McEwan may be minded to rebrand the entire group under the English bank’s name. Despite continuing losses and the ‘conduct and litigation’ problems, McEwan has in the past 18 months managed to bolster the bank’s capital strength and make some tangible improvements to its UK retail bank. But many commentators and investors believe that traditional, ‘bricks and mortar’ banks – hampered as they are by their employee-heavy organisational structures, inefficient processes and creaking information technology systems – have had their day. Their position at the top of finance’s food chain will be usurped by so-called “fintech” (financial technology) players operating in areas like crowdfunding, crypto currencies, electronic transfers, mobile payments and peer-to-peer lending. Just as Uber is killing off taxi businesses, the fintech players will kill off mainstream banks – or so the theory goes. Even in the sunnier uplands of RBS’s retail banking, dark clouds are brooding. The darkest are those hanging over the branch closure programme – a corollary of the tough-talking Kiwi’s desire to cut RBS’s costs by £5.3 billion by 2017. To limit negative headlines in the national press, RBS is deploying stealth tactics, axing unwanted branches in small batches of two or three. However that has not dulled the anger about the programme, not least because the bank has reneged on its June 2010 commitment not to close branches where these are ‘the last bank in town’. The introduction of additional mobile-banking vans and more cash machines, and the extension of a deal with Post Office counters, have done little to reduce the indignation that’s being felt in affected communities. Perhaps the biggest challenge for McEwan, though, is turning around the RBS’s still-rotten culture. In a conference call following the annual results in February 2015, he admitted that RBS was a ‘bruising place to work’. The internal culture – already poisonous under Fred Goodwin – became more so under Hester. Insiders suggest McEwan is struggling to rectify this. It is against this backdrop that George Osborne is so ‘desperate’ to sell the bank, through the agency of UK Financial Investments. Speaking at a black-tie dinner at the Mansion House on 10 June 2015, the chancellor insisted that selling RBS was ‘the right thing to do’, adding that selling an initial few billion pounds’ worth of shares at a loss (i.e. for less than the 502p-per-share that the Labour government paid for them in 2008–9) made sense, as enlarging the ‘free float’ should drive up the price and help rehabilitate the bank. Emboldened by his party’s recent general election victory, Osborne claimed that any losses on the RBS stake would be overridden by profits from the sale of other bailed-out banks, including Lloyds, in which the government has already reduced its stake from 43 per cent at the time of the bailouts to 15 per cent in July 2015. ‘Yes, we may get a lower price than Labour paid for it,’ Osborne told a group of black tie-wearing bankers, ‘but the longer we wait, the higher the price the economy will pay.’ At the time of writing, RBS’s shares are worth 333.8p each, which means they have shed 33.5 per cent of their value, since Brown described the government’s initial share purchase as a ‘commercial investment’ in October 2008. If they were all to be sold at this price the UK government would lose £15.24 billion on its £45.5 billion ‘investment’ (33%). While banking’s capacity to inflict such devastation has been marginally reduced since 2008, the demons that lurked in the system are a long way from being exorcised. This is an edited version of the new epilogue for the paperback edition of Ian Fraser’s Shredded: Inside RBS The Bank that Broke Britain published next month. The book was hailed as a ‘book of the year’ by the Financial Times, Bloomberg, Huffington Post and The Week, and a ‘business book of the decade’ by the Financial Times. It was longlisted for the FT and McKinsey Business Book of the year 2014.